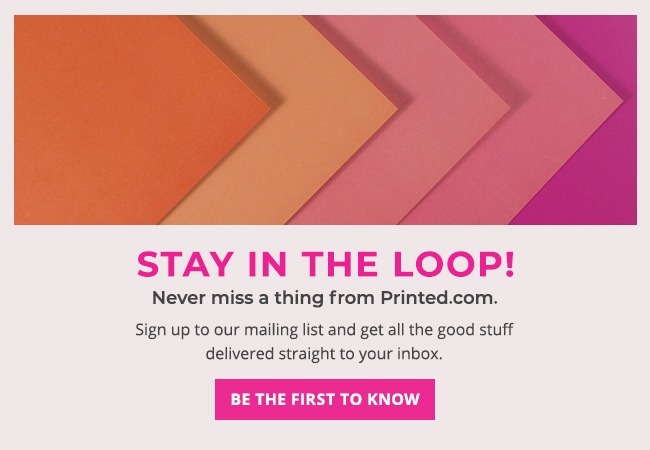 We’ve already talked about the influx of personalisation within the print industry back in our trend watch series blog in February (read it here), but it’s not limited to just Greeting Cards! The rise of services like Airbnb has given way to a completely new way to experience hospitality – tourists and locals alike are looking for a more personalised service. If you offer accommodation services, or even run a café or bar, consider how you can tailor your packages to offer exclusivity and personal services. Think about tailoring your marketing messages to your customer base, in everything from your email communications to the packages you provide guests and customers. Offer different services and experiences for different kinds of guests, whether that’s an exclusive package or a set menu. These little touches will make all the difference when it comes to customer loyalty! This one might seem like a given, but there are far more ways to harness the power of smart technology than just offering Wi-Fi within your premises or creating your own app, for example. In our interconnected, technology driven world, customers are never far from their smartphones, and something as simple as changing your plug sockets to include USB ports or offering a charging zone in your space could be the key to getting customers in – and keeping them there. Just don’t forget to let customers know about them! A custom Display Board, Poster, or Sign is ideal for pointing out where customers can recharge. Or, if you’re really looking to harness the power of smart tech, why not consider how customers can integrate their tech with the experience you offer? Consider platforms that allow customers to pay for meals or services using their smartphone. There are a number of apps available, including Velocity, MyCheck, Orderella, Uncover, Flypay and Zapper, to name but a few! Loyalty programmes aren’t just smart marketing tools to encourage customers to keep coming back – they’re also they key to keeping customers satisfied – especially if you combine yours with personalised aspects. Incorporating a loyalty programme to your business could be as quick and easy as printing some loyalty cards and leaving them at your reception or till point, or giving them to customers alongside their bill. But, if you have the means, it’s worth considering programmes that can cross channels – like social media or partnerships, for example. Social responsibility is a big news right now. Driven by the millennial generation customers are demanding that brands and businesses step up and embrace their social responsibility. This can have a major impact on loyalty, as consumers are increasingly more likely to support brands with a purpose. Research has shown that customers are willing to pay extra for products and services that come from companies committed to positive social and environmental impact. Have a think about where and how you can improve your commitment to social responsibility, whether that’s printing on recycled paper, implementing initiatives like reducing waste or using less plastic – or even helping charities and communities locally. Include your accreditations like FSC logos on your printed materials and push your initiatives by highlighting them in your communications. Just make sure that you let your customers know what you’re up to. Include it in your Brochures, marketing and comms for maximum effect. Chatbot technology shows no signs of slowing, especially when it comes to the hospitality sector. A chatbot is a service, powered by rules and sometimes artificial intelligence, that you interact with via a chat interface. The service could be any number of things, ranging from functional to fun, and it could live in any major chat product (Facebook Messenger, text messages, etc.). Get up to speed on all things Chatbot here. Why are they having such an impact? Customers want answers to their questions, and they want them fast. Calling a hotel or restaurant directly takes time, whereas Chatbot technology is instant – and it removes pressure on customer service staff. By 2020, customers are expected to manage 85 percent of their relationships with enterprises without interacting with a human – food for thought, wouldn’t you agree? Have a think about using hashtags to promote your brand on social media to involved in new conversations. Telling your story is important when it comes to customer loyalty. Whatever your business, you have a story to tell, and people want to listen. It’s vital that you make sure you’re effectively using social media to harness the power of storytelling. Use platforms like Instagram and Instagram stories to showcase your brand, think about how you strategise your Facebook and Twitter interactions and above all, remember to remain consistent in your social communication. If you need any advice on getting started, check out our blog on growing your social tribe – it’s packed full of tips and advice. And, if you’re already fluent in the language of social, get all the advice you need to get the most from Facebook Advertising with our free PDF guide. As a brand or business, it’s time to start evolving your strategy and technology to keep customers at centre focus and, above all, loyal. But, don’t forget, even if you implement great strategies, schemes and tech – it’s no use if your customers don’t know about it! And don’t forget, for all your hospitality print needs, our brand new Hospitality Collection is here to help you find what you need, fast. Thanks Printed, these are great top tips and helpful advice as always.